The Speedy Expo is a yearly trade show organised and hosted by the UK’s leading equipment hire and services provider. It brings together suppliers, customers and keynote speakers from all corners of the construction industry and offers a showcase for some of its most innovative new products. But this year, the second at Liverpool’s Echo Arena, there was added reason to get together. 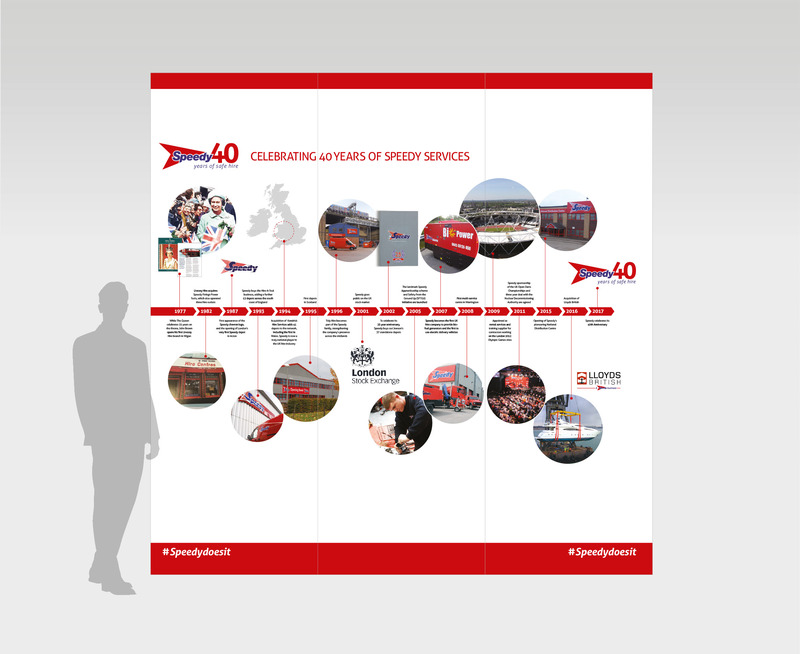 Speedy’s fortieth anniversary celebrations. 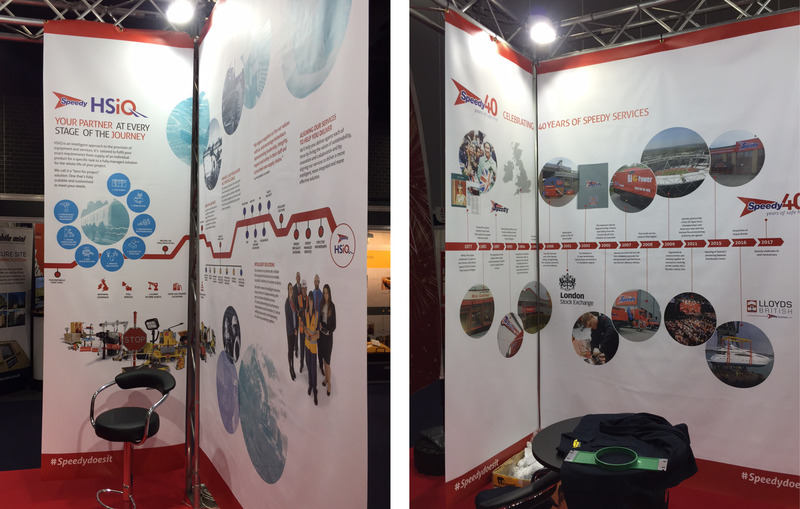 DGR were commissioned to design a series of exhibition panels depicting the Speedy story, from its beginnings in the year of The Queen’s 25th Jubilee right up to the present day. We were also tasked with creating a second display outlining the company’s offer to contractors involved in upcoming HS2 infrastructure works. 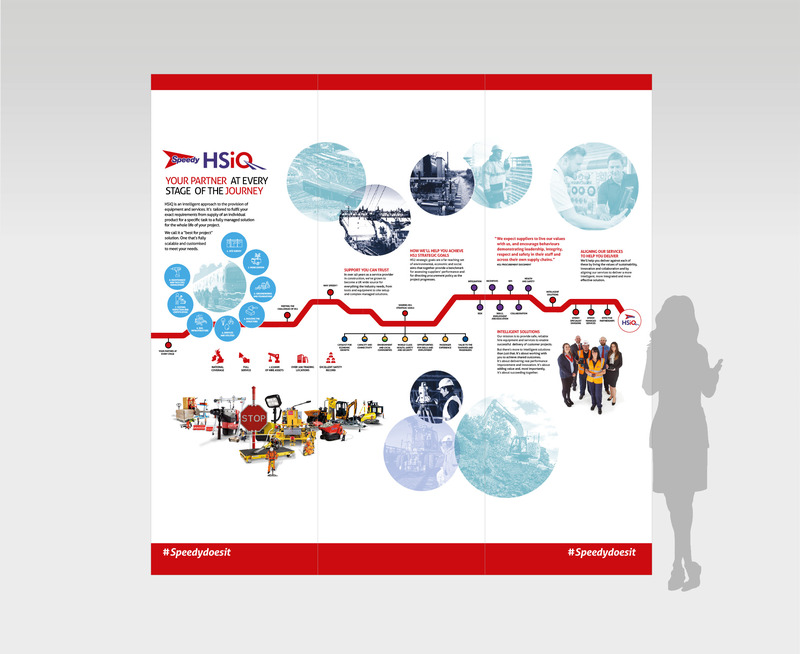 Featuring a distinctive infographic style and a new Speedy Services brand, HSiQ – which we were instrumental in developing and will be rolling out across all subsequent HS2 communications – this corner stand provided an ‘at a glance guide’ to how Speedy can help contractors meet the strategic goals set by HS2 around the areas of sustainability, safety, education, diversity and economic growth.